Getting enough sleep every night is an important part of maintaining your overall health, and it’s also key if you want to be able to feel good throughout the day and be in a good mood while getting things done. But did you know that the mattress that you sleep on could actually affect the quality and quantity of your sleep? Choosing the wrong mattress may cause you to toss and turn all night and be sleep deprived the next day. So, what are some of the best mattresses that could help you achieve better sleep? When searching for the best mattress for improving your sleep, consider the Layla mattress. This mattress is dual sided, which means you can flip it whenever you feel like you need a different amount of firmness. One side is the firm side, which is rated a 7 out of 10 in terms of firmness, while the soft side is only about a 4 or a 5. Plus, this innovative mattress has foam that has been infused with copper to help it stay cool while you sleep. If you tend to overheat and sweat a lot while you rest, the copper will help transfer heat quickly so that you can remain more comfortable. Beyond that, this mattress is also capable of protecting against microbes, and it can provide your body with the right amount of support, which can be especially helpful if you experience discomfort or pain from sleeping on an uncomfortable mattress. When it comes to a mattress that can help you get a better night’s sleep, this one should definitely be considered as well. It is a medium firm foam mattress that, unlike other foam mattresses that can get really hot during the night, actually helps you remain cooler so that you can sleep more soundly. Plus, this mattress features three layers that make it stand out against the competition. The first layer, which is the top layer, is called the comfort layer. It helps relieve pressure, especially if you prefer to sleep on your side. The second layer, in the middle of the mattress, is dubbed the recovery layer, and it further helps to relieve pressure by contouring to your unique body shape. And the deepest layer, the third layer at the bottom of the mattress, is the support layer, which is made up of a whopping six inches of dense core foam. This layer will ensure that you will be supported all night long, no matter what your sleep position or body type is. This mattress was voted the best overall mattress by themattressnerd.com in their updated buying guide. The Amerisleep AS3 is a medium firm mattress that is designed for all sleep positions, so you can get more shuteye, no matter what position you like to be in most. Blending softness with plenty of support, it is also a great choice for anyone who tends to change their sleep position throughout the night, rather than staying in one position. And if you are sharing your bed with someone who has a totally different sleep style, this mattress will support both of you just fine. This mattress is built to be responsive, too, so it could help relieve pressure points that would otherwise lead to discomfort and pain. And it will also help keep you cool while you sleep, so you will be far less likely to wake up feeling sweaty and overheated. One of the most popular brands in the world of mattress makers is Tempur-Pedic, and for many good reasons. If you have not given Tempur-Pedic mattresses a try and you have been having trouble sleeping well, you might want to test out the brand’s Tempur-Cloud Supreme Breeze mattress. It features adaptive support, comfortable softness, and cooling technology, all of which add up to an incredible night’s sleep. Consisting of four layers, each of which is capable of moving heat away from your body and keeping you cooler while you sleep, this mattress is definitely a good choice for those who overheat and wake up feeling uncomfortable. Plus, the support layer, in particular, will quickly adapt to your body’s shape and weight so that you can instantly feel comfortable. And, finally, it even touts an antimicrobial treatment that can help keep your mattress clean. With the right mattress, you just might find that you are finally able to sleep better and wake up feeling more refreshed and totally ready to take on the day. So, what are you waiting for? Consider giving the mattresses above a try so that you can take a big step towards improving your sleep and your health. 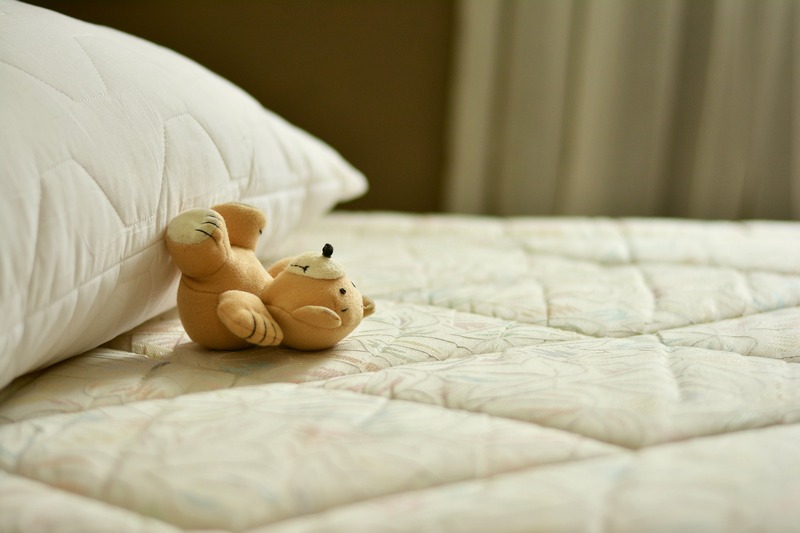 5 Creative Ways of Revamping Your Mattress Toppers!